A Youth Care Team is an exciting way to come together with your friends, to run for Bal Utsav in this Airtel Delhi Half Marathon 2018. It is exciting, it is rewarding, it is fulfilling, and above all, it directly impacts the future of the country, through helping educate children. A Youth Cares team needs to raise a minimum of INR 75,000/- in donations. The team needs to make an upfront contribution of INR 3,000/- * at the time of registration in favour of ‘India Cares Foundation’. This will be included in the total minimum amount to be raised by the Youth Cares Team. Each team of Youth Cares will comprise of 3 participants who are current students with and have a valid school/ college id, which needs to be submitted along with the Youth Cares registration form. Team members of all Youth Cares teams can participate only in the Great Delhi Run category without any additional fees to be paid. 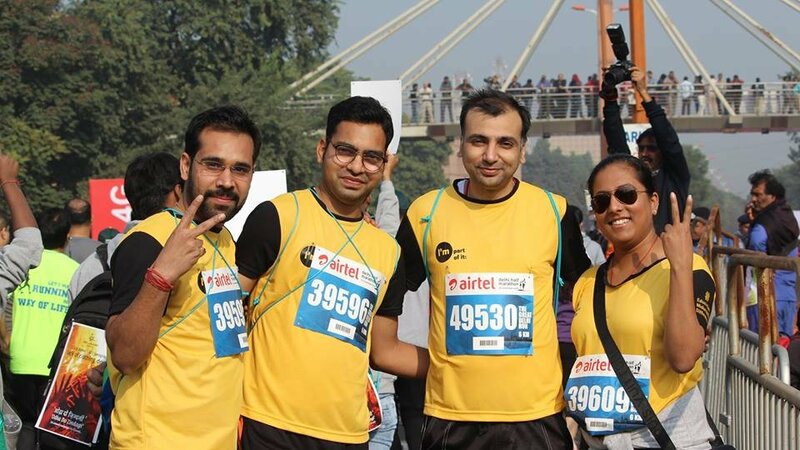 Youth Cares teams who cross the minimum aggregate fundraising threshold of INR 75,000 per team on or before 15 September 2018, can look forward to the following privileges at Airtel Delhi Half Marathon 2018, running for Bal Utsav. The upfront contribution of INR 3,000 shall be considered in the minimum threshold limit. Regular contact with India Cares through Bal Utsav. Special page for the team on the India Cares website, with the team mentioned on the Event website. Mention on Wall of Change at the Get Active Expo. Invitation to the team members of the highest fund raising team as on 30 September 2018, along with one representative from their educational institute, to the Event pasta party. Event tee for top 3 fund raising teams as on 10th September 2018. Processing, reconciliation and acknowledging all pledge cheques received, issuing receipts, and 80G certificates wherever applicable. Youth Cares team will be named in the post event docket. Award for the top 2 fundraising teams. Event certificate to members of all successful Youth Cares teams. Contact our Marathon team at marathon@balutsav.org to build your team. *India Cares retains the upfront contribution of INR 3,000/- made by the Youth Cares Team as donation for the support provided to the participating Care Champion and Bal Utsav.